Nikhil Kolbekar, aka HellsAngel, was arrested on July 11 in Mumbai, India. Eric Bogle, known as Swat Runs Train, and Justin Mills, or xTGxKAKAROT, were taken into custody in Canada, respectively Colorado, US. 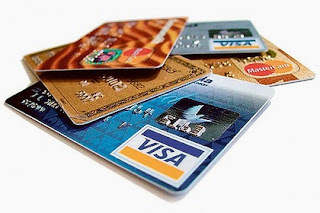 HellsAngel and Bogle is suspected of selling complete credit card details, including names, addresses, social security numbers, birth dates, and bank account information. He also sold remote desktop protocol (RDP) access data that could be utilized to breach computers in countries such as Turkey, India, Czech Republic, Brazil, Germany, France, Italy, Spain, Sweden, and others. The suspect, Nikhil Kolbekar, was produced before the Esplanade Court on Thursday and has been remanded in judicial custody. He will be produced before the Patiala House court in Delhi on July 25, with the US pressing for his extradition through the Interpol. Carding refers to various criminal activities associated with stealing personal identification information and financial information belonging to other individuals including the account information associated with credit cards, bank cards, debit cards, or other access devices and using that information to obtain money, goods, or services without the victims’ authorization or consent. Janice K. Fedarcyk, the assistant director in charge of the New York FBI, said the cross-border law-enforcement operation is targeting "highly organized cyber criminals" and is designed to "root out criminal behavior on the Internet." The police have seized a computer, hard-disk, CPU, CDs and pen-drives from Kolbekar, which will be used as evidence against him.